Welcome to the Alamo Chapter of the Harley Owners Group #2502 (ACHOG) based in San Antonio, Texas. If you enjoy group rides, family-oriented fun, and civic involvement, ACHOG may be a good fit for you. Our chapter gets together regularly for rides, community events, movies, poker nights, and other activities. If you have never been a member of a H.O.G. chapter, you will find that it is a great way to meet new friends with whom to ride and have a lot of fun! Our ACHOG meetings are a time to eat, socialize and stay on top of current events. Here we discuss chapter business and distribute information about upcoming rides, events, and activities. Our chapter meetings also include raffles, sign-ups, prizes and more! ACHOG meetings are a great place to get your ACHOG-related merchandise as well. We invite you to look around our website to learn more about the Alamo Chapter of the Harley Owners Group and the many benefits of being a member. You may also click the links here to visit the websites of the National Harley Owner's Group (H.O.G.) 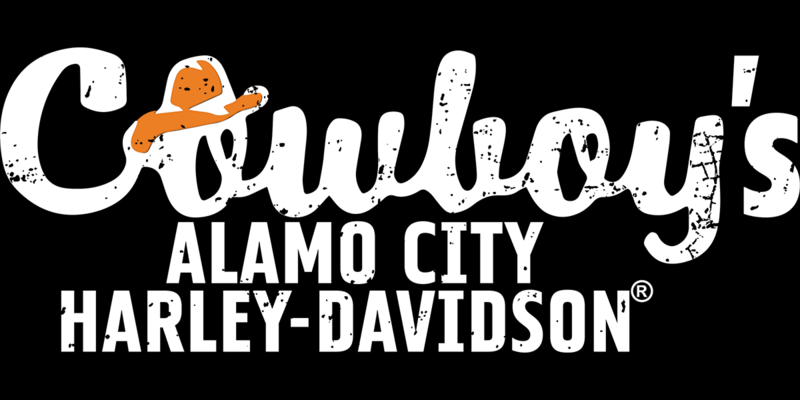 and our chapter sponsor, Cowboy's Alamo City Harley-Davidson.